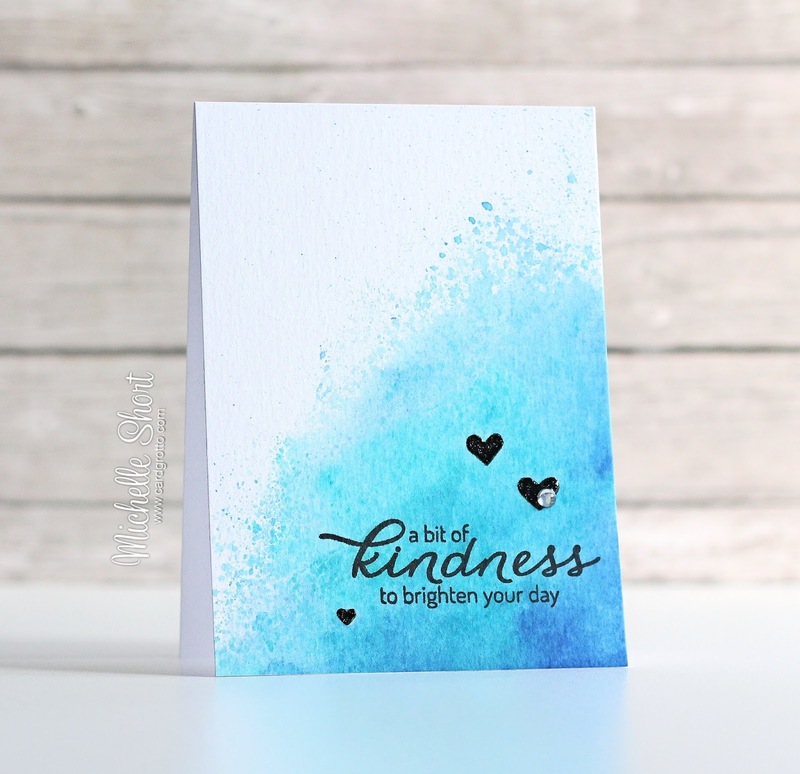 Hello there, I am sure you have all been following Jennifer McGuire's Share Handmade Kindness Challenge but in case you haven't, the concept is to share handmade kindness with people. Every week there is a different group of people to share with. Jennifer was kind enough to send me a box of goodies to enable me to make some cards to send out. Here is my first card using it. I started with a piece of TH watercolour cardstock. I then pouched/smooshed various colours of Distress Ink on to it. 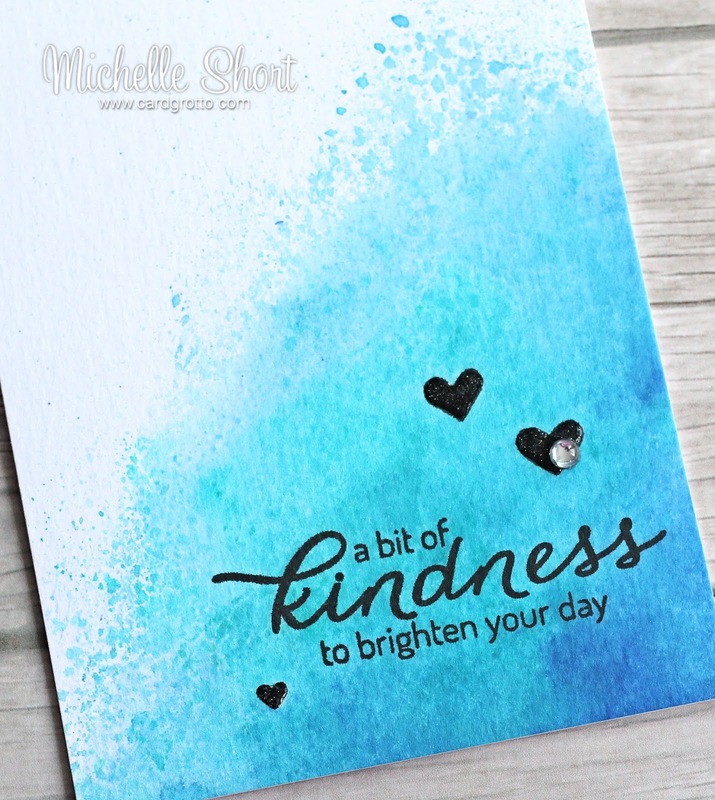 Once dried, I took the sentiment from the HA Acts of Kindness set, and stamped this with black Versafine ink. I then stamped the hearts around it. To finished off, I added Glossy Accents to the hearts as well as a gem. The panel was then adhered to a white card base. Simple but very striking, I love the colours. So beautiful...love all that pretty blue.